Yaw Anokwa – Doing things and telling people. Doing things and telling people. Hi, I'm Yaw. I made Open Data Kit and run Nafundi. In 2014, my wife and I sold everything to travel the world and live and work as nomads. I've always loved doing things and telling people about those things and this blog is the easiest way of sharing what I've been up to. If you are into the social media thing, you can find me as yanokwa on Facebook, Twitter, Instagram, YouTube, GitHub, and pretty much anywhere else you look. My wife and I have lived and worked as nomads for almost two years and one question we get often is how we get and send physical mail while are traveling. It’s a great question because it turns out a mailing address is essential to life. From credit cards to travel insurance to federal taxes, everything needs a non-PO Box mailing address. 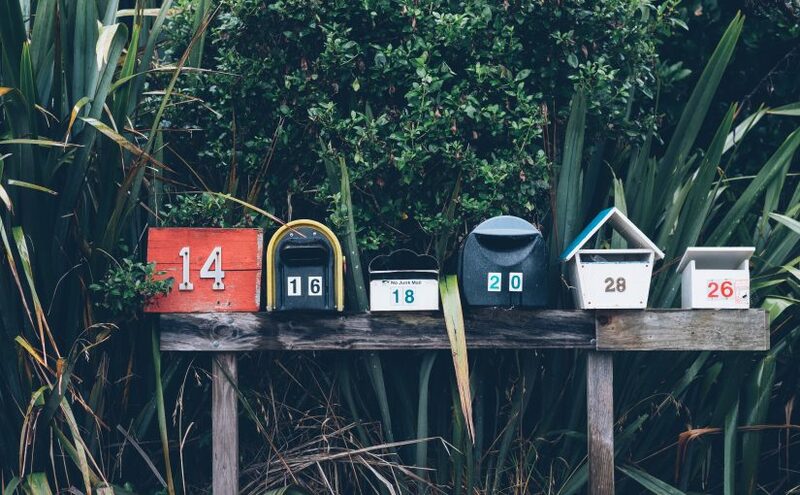 Real mailing addresses are also important for businesses. Most states need you to have a publicly known “registered agent” staffed with a human being so the business can be served legal documents. And most businesses need to process paper checks because big clients insist on paper checks, banks limit what you can deposit via mobile, and no one wants to spend time going to the bank. I’ve used Earth Class Mail (ECM) for more than two years as my virtual mailbox and I love it! They give a normal mailing address staffed by humans, scanned copies of every piece of mail, fast check deposit, forwarding of mail to wherever I am, and this is important, great customer service. ECM works the way you’d imagine. They scan the front and back of the mail you receive. You then decide to let them open and scan the contents to PDF. Scans can be emailed to you or synced to your Dropbox or Google Drive account. ECM can also shred, store, and forward mail, and if you wish, you can even pick up the mail from your mailbox. And what about bulk mail? They throw that away automatically. ECM isn’t perfect. The plan I’m on has a fee associated with every little thing and that cheapens the experience. And their UI is functional but dated. It makes me a little sad each time I open the website. Plans start at $49/month, but you’ll likely pay more. My monthly bill for the six mailboxes in my account is close to $100/month. It doesn’t sound cheap, but compared to the alternatives, and it is great value for money. Perhaps the best thing I can say about ECM is that I will likely continue using it even if I stop traveling. It’s like living in the future. So yeah, live in the future, use Earth Class Mail. To send mail, I use Lob, a web service for programmers who need to automate sending postcards, letters, and checks. 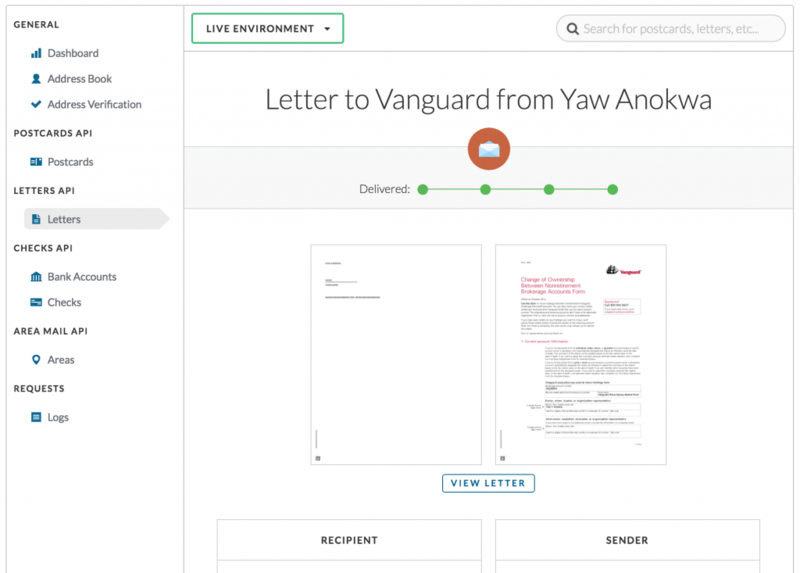 And although Lob is a tool for programmers, it happens to have a human-friendly user interface for uploading and sending the occasional signed PDF. Oh, and you don’t have to print out the PDF, sign it, and then scan it. If you are using a Mac, you can record your signature just once, then sign in Preview.app. Living in the future!